Gladstone Software is a gym and leisure management system for fitness centers of all sizes. Its features include membership management, class scheduling, health outcome analysis, multi-location management, and training services. In this article, we cover its available pricing options. 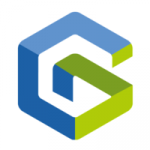 Ready to get started with Gladstone Software? Request a demo. As of the date this article was written (01/11/19), there are no recent user reviews of Gladstone Software online. If you are a past or current Gladstone Software customer, leave a review to help other small business owners who are deciding whether or not to use the company. Gladstone offers three subscription plans for its Single Site version: Prospects (£19/user/month), Pro (£25/user/month), and Premium (£29/user/month). The main difference between the plans is access to premium features such as contact and member management, POS and front desk, entry and access control, and class booking management. Gladstone Software is also available to business owners with multiple gym locations. However, prices are customized and are not available on their website. Interested users can contact their sales team to request for the exact pricing info. Ready to get started with Gladstone Software? Request a demo. How can Gladstone Software help businesses manage their fitness centers better? Gladstone Software provides users with tried and tested back office tools such as secure and efficient payment collection, seamless GDPR data compliance, calendar management, etc. These tools ensure that all administrative tasks are automated and efficiently handled, so business owners can focus on servicing their customers better. How does Gladstone Software help businesses maximize the use of the program? Gladstone Software provides users with an extensive range of educational tools to help them maximize all the program features. These include webinars, an online portal, and tailored training for businesses with unique requirements. Not sure if Gladstone Software is the right fit for you? Read our reviews of all top gym management software or check out one of these three Gladstone Software competitors.